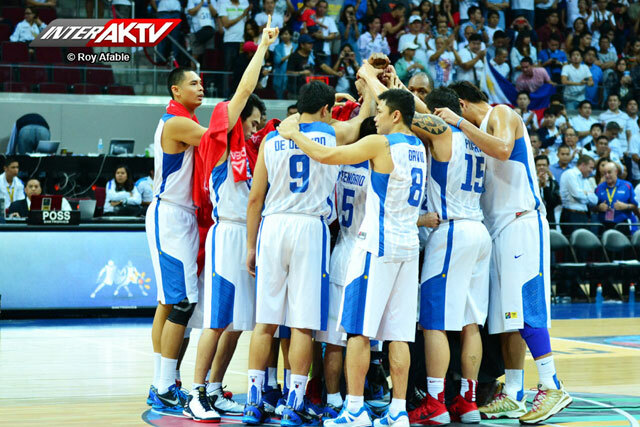 whatseatingvenus: What makes Gilas Pilipinas victorious? What makes Gilas Pilipinas victorious? Today is the morning after Gilas Pilipinas lost the FIBA Asia gold medal to Iran. What a week that was! If you're in Manila or even a Filipino abroad, you don't have to be a basketball fan to understand how much hosting this event meant to our country and Gilas players. 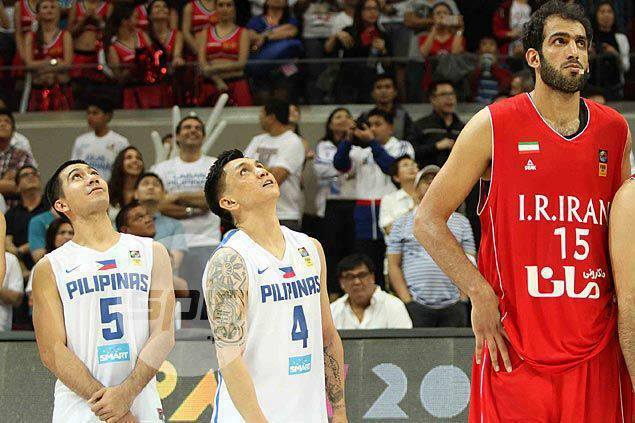 After the momentous and heartfelt victory over South Korea on Saturday night, which secured us a spot on the 2014 World Cup in Spain, our Davids from Gilas Pilipinas were led face to face with the our modern-day Goliaths led by Hamad Haddadi of Iran on Sunday night and lost by 14 points. But you know what's weird? I actually feel not a single hint of losing. I woke up feeling victorious. And you know why? It's not because our team has achieved its goal of making it to the World Cup, although that could be the best culprit behind the hype I saw on my Facebook feeds. It's overwhelming how, once again, the Filipino people were in unity towards one goal. But no, that's not the reason I feel extra warm and giddy and hopeful right now. It's because of the small details I saw as I watched the evening ballgames on TV with the hubby. The small details which for me made the biggest impact for this season..
2. 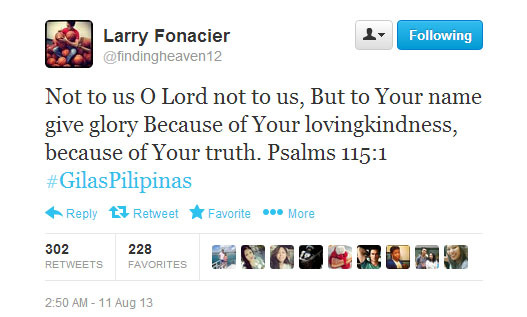 As seen above, Larry Fonacier acknowledges the man whom he was praying to (6:53 of the video). Below's tweet is a follow up as posted way past midnight after the game day. What is my point? I don't know about you but I look at these players as no more or no less than a normal person -- weak, insecure, and won't be able to function when left to their own devices. I don't see them just as athletes whom we send to represent our country and fight. They deserve more than that. They are humans too, not idols. They have families they left behind for the months they had to be together as a team to train. This was sacrifice for them. Given this premise, I care about where they get their strength from. And it matters to me that these big men actually look on God to be able to continue. Win or lose, I think this fact makes them victorious already. Just the same as I don't care if Manny Pacquiao is no longer the best boxer in the universe. What matters to me is that he's no longer a gambler, a womanizer, and more importantly, he has a relationship with the Lord now. I'd take a Godly-and-family-loving Pacquiao over world-champion-adulterer Pacquiao any day, you know. I'm not saying I know our Gilas men personally, 'cause I don't. I just know how Marc takes championships seriously that he goes on abstinence with Danica for a week or so so all his energy is focused to winning the game alone. I also remember back in summer when Gabe would continue playing and only left Lithuania (where Gilas camp was) just in time to attend his own wedding. Those are not even a tenth of what's really happening in their lives. What I'm trying to say here is that I'd like to treat the 3 small details enumerated above as signs that they are also dependent to the one God I serve. These are small people playing big roles so it matters to me that they believe in the power of prayer and in God's favor instead of purely trusting on their own abilities. Before the semifinals started, Ralph and I reserved a couple of minutes from our dinner time to pray for the team. We felt it was too important an event not to ask for God's guidance for. That's why when the final buzzer came and while the MOA arena was roaring, Ralph and I were both teary-eyed and hugging and thanking the Lord that is faithful to His promise. It was an answered prayer for us! And I second Larry's tweet. Not the Filipino people, not the coaches, not even our Gilas Pilipinas players themselves, but our one and only mighty God be glorified in almost impossible seasons like this. Let me end this with a lyric-video of a favorite worship song. That's a heartwarming post about our Gilas Venus, I have goosebumps all over during the entirety of the finals night. It was more of being proud for the players we have. they gave their all and there's nothing to lose. They have the heart, the Big hearts they showed all throughout the game. I'm so proud of them! Truth is I am not a basketball fan. The only time I got halfway-obsessed was back in elementary and I was cheering for my crush who was playing. Lol. But I digress. Though I can't really relate since I never watched any of their games, it made me smile when I read about those small details you pointed out. Nice to know their game performance is rooted in their faith as well, not just the training and such. May God bless the team more! I've been a fan since I can remember. And yes, it's really nice knowing that these athletes were humble enough not to put their trust only on their own abilities. True. :) Thank you for dropping by! nice post sis. it is refreshing to read something like this after all the things that I read the entire weekend (both negative and positive). good day!